Just in case you are wondering, the 8th box "Bamboo Chutes" of "Cut The Rope: Experiments" has just been added in ver. 1.7 for the iOS platform but it was released 2 months ago for the Android platform, read: Episode 22 of Om Nom Stories, "Cut The Rope: Experiments" Bamboo Chutes Update and "Cut The Rope 2" ver. 1.0. A NEW "Om Nom Drawing" (see above screenshot) has been added in the newly released ver. 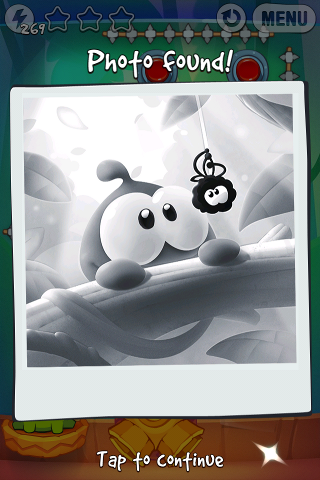 1.7 of "Cut The Rope: Experiments". 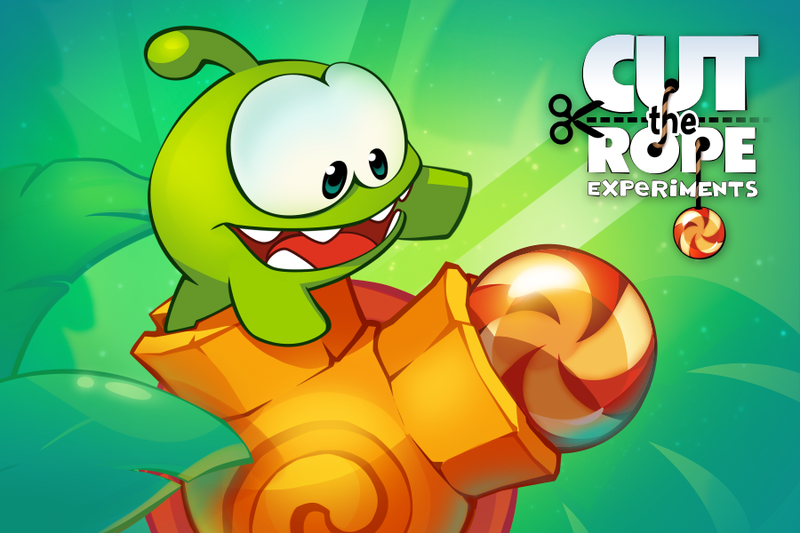 For those who want to know more about the "superpower" feature, you can read this article: "Cut The Rope: Experiments" ver. 1.4 now has "Superpowers" !